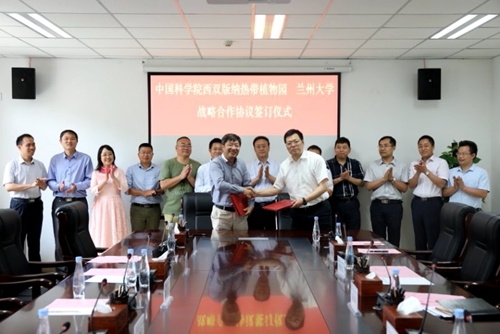 Xishuangbanna Tropical Botanical Garden (XTBG) and Lanzhou University, one of top universities in west China, forge partnership on July 22, marked by a signing ceremony of a memorandum of understanding (MoU) at Lanzhou University. 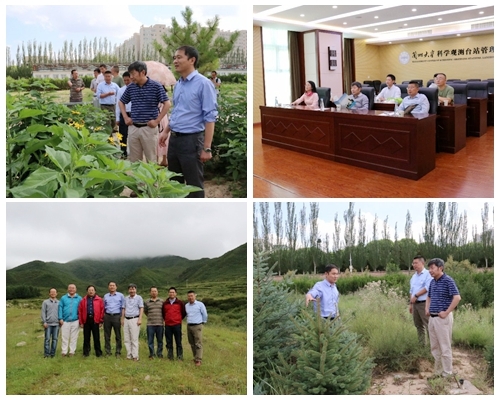 As representatives of the two sides, Prof. Chen Jin, director of XTBG, and prof. An Lizhe (recently appointed as president of Beijing Forestry University), then vice president of Lanzhou University, signed the MoU. 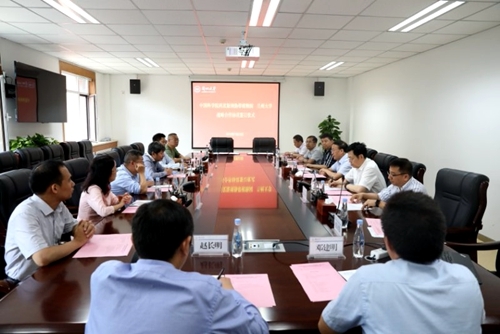 According to the MoU, the two sides will have comprehensive cooperation on talent exchange, talent training, scientific research, field stations, and platforms of science resources, etc. The two sides have a meeting.